After Antti's two 'Greetings' postings from Germany, it's time for my own 'Greetings' posting from Rome, Italy. I am here for one-week to visit Daniela Calvetti and Erkki Somersalo. They are full-time professors at Case Western Reserve University, US, and now, they are spending their sabbath year in Rome (or they'll be here for 6 months and then proceed to other universities...). They are both working on some courses at La Sapienza, which can be considered as the biggest university in Europe. Hence, quite different to Sodankylä Observatory. Our scientific goal is to make algorithm development for high-dimensional tomography. By high-dimensionality, I mean that the parameter space is typically of the order of 1,000,000. Applications include e.g. ionospheric tomography. We are also considering some medical stuff, but as these are still somewhat preliminary ideas, let's not cover them in more detail. Guys with the ladders are part of the show :) !! There's quite a lot more to do in leisure time in Rome than in Tähtelä (where activities include sauna and work, or, work and sauna -- sometimes at the same time). Well, therefore I did buy tickets to the Barber of Seville. 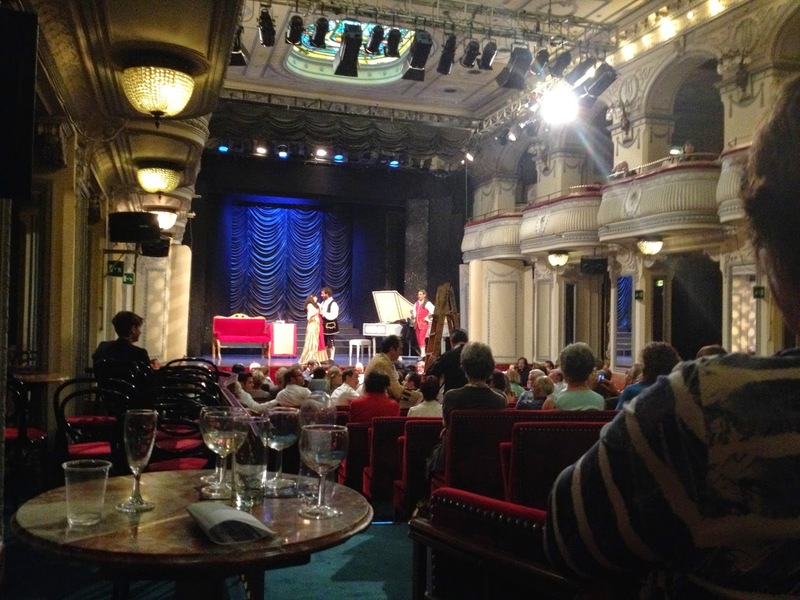 The venue was not the big Roman opera but Teatro Salone Margherita. This place is somewhat different to big opera buildings, as the entrance is simply a bistro pub. In addition, there is an open bar at the theatre... and you can buy beverages, ice-cream, pop-corn etc... and as in Rome, there was free pasta during the second intermission. Splendid indeed! This is somewhat more relaxed than in Finnish operas/concerts, which are more of 'pönötys'-type, i.e. people are trying to be too formal in those occasions. Hence, a good choice for Friday-night! Combination of pub and opera - great idea indeed! 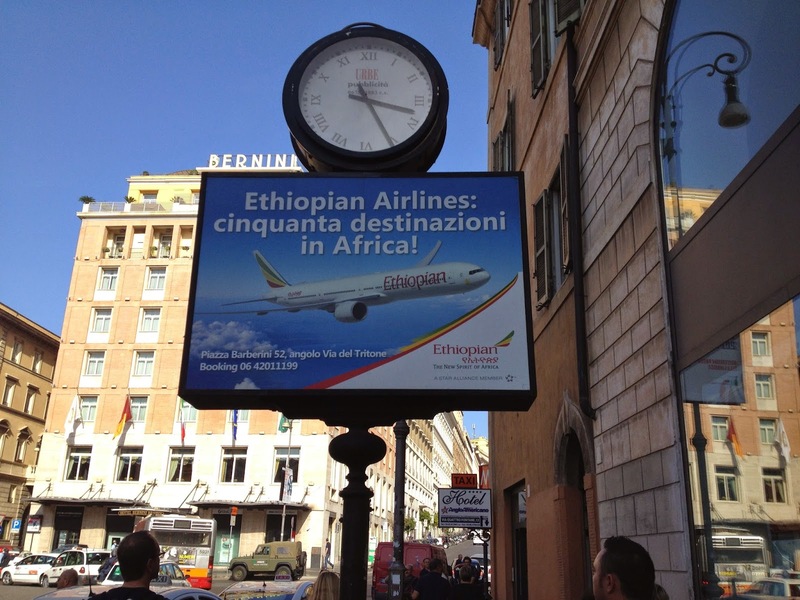 I will be in Rome until Thursday and then fly out to Bahir Dar, Ethiopia. Presumably our roving researcher Antti has just landed to Bahir Dar. Hopefully he manages to install the spectral riometer before my arrival! Ciao for now! ... and yes -- I find omens of my future in Rome :) !! This blog presents science, technology, engineering and mathematics done at Sodankylä Geophysical Observatory of the University of Oulu. In addition, we post material on observatory, university and academic life in general. Greetings from Bahir Dar University, Ethiopia! EISCAT Radar Time Available for Anyone! Riometer installed at Bahir Dar, Ethiopia! Greetings from IAP, Kühlungsborn, Germany!